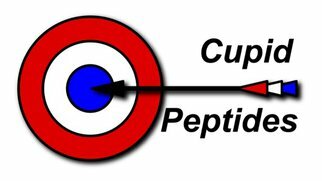 Cupid Peptides is an innovative biotech company which manufactures long-chain, cell permeable peptides for the worldwide biomedical research community. PEP Therapy is a biotech company developing targeted therapies for the treatment of severe diseases, with an initial focus on cancer. Based on its proprietary heat stabilization technology, Denator is a biotech company developing instruments and consumables to address needs in the life science and clinical research markets. Denator’s products enable scientists to stabilize biological samples (cellular biopsies or tissue sections). Normal degradation processes are stopped instantaneously and permanently, preventing the distortion of subsequent analytical results and thus revealing the true in vivo status of every sample. CMDBioscience is a computational biotech company using computational methods to enable transformational peptide drug discovery. CS Bio is a biotech company focused on providing peptide synthesizers and custom peptides to the life sciences community for over 20 years. ProSpec is a biotech company with nearly 20 years of experience in production of bacterial-derived recombinant proteins and producing a wide array of recombinant proteins (growth factors, cytokines, chemokines, enzymes, hormones, viral antigens, etc…).